Ranjana Rawat from Delhi, B.Sc Graduate. TEAM MANAGEMENT CUSTEMER SERVICE CUSTMER RETENTION TEAM MANAGEMENT AND.. ADMINISRATION AND FI..
are one of expert skill area's of Ranjana Rawat . 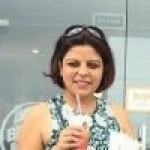 Ranjana Rawat is working in Doctors/Nurses/Medical Professional industry.